Santa Margarita Toyota offers quick service on truck and car brakes near Mission Viejo CA. Brake service is available for all types of vehicles, and we use the best components for repairs to make sure your vehicle stops on a dime. Our auto technicians know vehicle brake systems inside and out, from the master cylinder to the anti-lock braking system sensors. 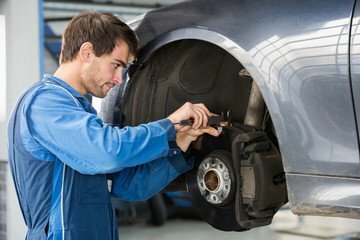 Our service for brakes close to Mission Viejo CA includes new brake pads, brake shoes, rotors, drums, master cylinders, hydraulic brake lines, calipers, wheel cylinders and brake hardware kits. We can also special order brake parts if we do not have them in stock. Check for specials and coupons for brakes near Mission Viejo CA.